Massachusetts lawmakers are considering a bill to prevent insurance companies from discriminating against homeowners who own certain dog breeds. Massachusetts lawmakers are considering a bill to prevent insurance companies from discriminating against homeowners based on their dog’s breed. Rep. Jack M. Lewis (D-Framingham) is the sponsor of H.554, which would ensure dog owners can buy insurance to provide compensation to anyone injured by their pet. State lawmakers have handed cities and towns with pit bull ordinances a set back after passing a new animal control law which says no regulation may be specific to breed. Boston, Lowell and Worcester are among the Massachusetts communities which have implemented pit bull ordinances in the past 10 years. None of the communities will be grandfathered under the legislation, “An Act Further Regulating Animal Control.” Gov. Deval Patrick signed the bill into law Aug. 2 and it takes effect Oct. 31. Boston enacted its pit bull ordinance in 2004 and it serves as the model for many other local communities seeking to reduce dog bites and attacks. The ordinance states dogs must be muzzled outside the owner’s private home, apartment and car. All dogs in Boston are required to be leashed off their owner’s property. Under the pit bull ordinance, the owner must post a sign alerting the public and guests that there is a pit bull on the premises. Additionally, a dog owner may not register or keep more than two pit bulls. If the pit bull owner is renting an apartment, the landlord must sign off written permission, which must then be presented to the city’s Animal Control Officer. Worcester and Lowell have similar ordinances to prevent dog bites and attacks, but they also require pit bulls be spayed and neutered. Lowell’s ordinance began in July 2011, according to the Lowell Sun. Local law enforcement is still assessing the impact. But one visible change is more pit bull owners are registering their animals with the city. 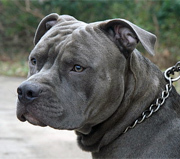 In the last six months of 2011, 30 pit bulls were registered with the city, according to the city clerk. In 2012, 56 pit bulls have been registered. Worcester officials report the opposite since their ordinance took effect on April 1, 2011, according to the Telegram & Gazette. The Worcester city clerk’s office reports in 2012, there were 221 licensed pit bulls in the city and an estimated 275 unlicensed. The number of registered pit bulls now stands at fewer than 70. The city is still awaiting figures on recent dog attacks. But it implemented the law after a surge in dog attacks and figures which showed more than half involved pit bull attacks. From Sept. 30, 2008 to Sept. 30, 2009, the city received 55 complaints of dog attacks or fear of a dog attack; 29 involved pit bulls. Police department figures further showed pit bulls were involved in 25 percent of the city’s dog bites over a two-year period. The new state law also includes other changes to animal control regulations, including providing standards for how police chiefs handle dogs deemed dangerous and establishes a Homeless Animal Prevention and Care Fund, which will be funded by voluntary donations on state tax returns. Worcester pit bull regulations nullified, Telegram & Gazette. New state law could maul Lowell’s pit-bull ordinance, Lowell Sun. Bill S.2192, An Act further regulating animal control. The Massachusetts Appeals Court has allowed the claim of a child who was bitten by a dog to proceed to trial against the landlords, even though the landlords did not own the dog. The ruling reverses a lower court ruling in favor of the landlord. The plaintiff was ten years old when he was attacked by a pit bull named Tiny. Tiny belonged to another tenant in the same 4-family building. Tiny had been found in the woods and adopted by the family. Tiny had demonstrated some aggressive behavior prior to the date of the incident. The plaintiff’s family maintained that they had lodged multiple complaints with the landlords about not just the presence of the dog, but also its aggressive behavior. The landlords were also informed that Tiny was allowed to roam unrestrained, a violation of the Waltham leash law. The landlords claimed they had no knowledge that the dog might be dangerous. The landlords had a no-dog policy for the premises, but failed to enforce that policy with regard to Tiny. In fact, the plaintiff’s family had previously given up its dogs because of the landlords’ policy. On the date of the incident, Tiny was sitting on a porch, unrestrained, then ran across the yard, jumped a fence, and bit the plaintiff who was playing in the neighbor’s yard. The ten-year old had mulitiple dog bite injuries to his leg. The Superior Court judge ruled that the landlords were not negligent, and that the fears of the pit bull were “subjective.” The Appeals Court disagreed. In Massachusetts, a third party such as a landlord, is not liable under the Massachusetts strict liability statute governing dogs. While a dogs owner or keeper is strictly liable for injuries caused by their dog, a third party can be liable only if he or she is negligent. A landlord does not insure that the property will be safe, and has a duty to use reasonable care for the premises. Thus, in this case, the plaintiff is required to prove that the landlord knew or should have known of the dangers of the dog. The landlords could not be held liable just on the fact that the dog was of a dangerous breed, but could be held liable if they had knowledge of its dangerous behavior. The Appeals Court also noted that negligence cases are ordinarily best left to a jury’s consideration, since the cases often turn on disputed facts. 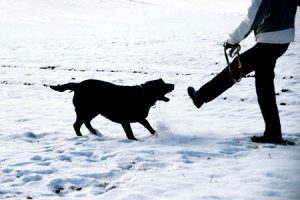 Given the disputed facts in this case, namely whether the landlord had received reports of the dog’s dangerous behavior, the case was sent back to the Superior Court for trial. The name of the case is Nutt v. Florio, Appeals Court No. 08-P-81 (October 19, 2009).